Doing Irish Genealogy in “Reverse”! 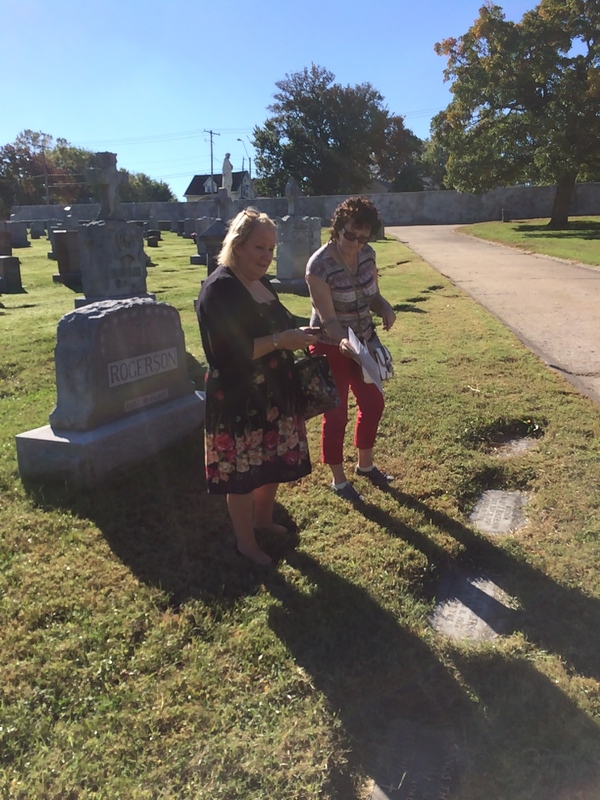 Mary and Bridget find the grave of the grandaunt Mary Finnegan Rogerson. Mary and Bridget came to Kansas City from Ireland wanting to find their grandaunt Mary Finnegan Rogerson. Mary Finnegan had left Kilquaine Craughwell Galway about 1890. Mary was the only daughter of William Finnegan and Bridget Finnerty. The first record that we found was a marriage record in 1894 for Mary Finnegan and Patrick Rogerson. Patrick was also an Irish immigrant born in 1864 in County Roscommon. The 1900 Census for the Patrick Rogerson family had a surprise for Mary and Bridget. Martin Finnegan, Mary’s younger brother, was living with the family. Martin had left Ireland in 1899 and the family never heard from him. We searched for him in other records, but we couldn’t find him. The 1920 Census for the Patrick Rogerson family had another surprise for Mary and Bridget. There was a Bridget Finnegan age 73 living with the family. I was able to find her death certificate from 1928. At that time Bridget was living with Annie and Delia Finnegan at 3319 Baltimore in Kansas City. The real surprise was that Mary and Bridget recognized Annie and Delia as Finnegan cousins. They had records of their births in Ireland but Mary and Bridget didn’t know what had happened to Annie and Delia Finnegan. Delia Finnegan was born in Nov 1865 and Annie was born in July 1874, their parents were Thomas Finnegan and Mary Lawless. Neither Annie or Delia married. In July of 1915 Mary Finnegan Rogerson got a building permit to build a 2 story house at 4523 Montgall. We had found a 1940 tax assessment photo of their home on Montgall. There was a rocking chair on the large stone porch with plants. The house remained only in Mary’s name until she added her daughter Florence to the deed. The youngest son of Patrick and Mary Rogerson was Augustine Rogerson who was born in 1907. We found that he had attended Rockhurst Hight School in 1923. And that he had served in WWII. Patrick and Mary Rogerson had eight children, James had died at age 12. Of the other seven children only two had married. Neither John or Margaret had children. So there were no living descendants. I volunteer at the Kansas City Irish center. I help people looking for their Irish ancestors and where they came from. I really enjoyed doing Irish genealogy in reverse. The different documents helped to tell the story about Mary Finnegan Rogerson and her family. Mary and Bridget now know that Mary had a good life, she lived until she was 92 with her children around her.